According to Staffing Industry Analysts, the temporary healthcare staffing industry was projected to reach $15 billion in revenue in 2017. Traditional healthcare recruitment brokers are extremely expensive and can often withhold unflattering information from clinicians regarding job opportunities. And the hiring process for temporary clinical jobs involves a tremendous amount of paperwork, which can quickly become tedious and time consuming. 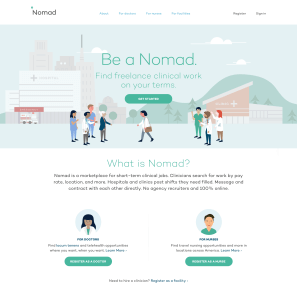 To combat this, Nomad Health enables clinicians and the institutions that hire them to find each other and transact directly. Doctors use the staffing platform to find freelance clinician work, while the medical facilities are able to find temporary clinicians, removing the need for these two parties to contract a broker and instead work directly with each other. 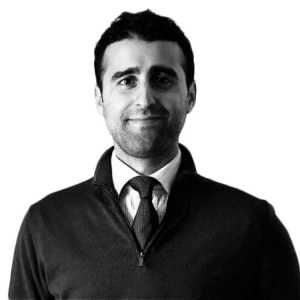 Through its platform, Nomad Health believes it can reduce healthcare staffing costs by 40%. With only one developer available, Nomad Health was able to integrate Dwolla’s API to accept ACH payments in fewer than two weeks. Through the platform, doctors now receive payments approximately 3 days faster than traditional temporarily staffed clinicians receive payment. Having the ability to onboard enterprise clients and doctors within their own platform was critical to launch, as well as the capacity to send timely payouts. Nomad Health needed an ACH-optimized API that was both well-documented and flexible. They were concerned about the traditional wait times associated with ACH transfers. A faster ACH option would allow them to more easily manage cash flow throughout the businesses and between customers, as well as delight clinicians receiving faster payouts. But utilizing Same Day ACH functionality allowed the platform to send payouts directly to doctors’ bank accounts within the same day—cutting traditional industry payout times by 3 days. With a fixed pricing structure and predictable variable fees to access Dwolla’s API, Nomad Health was able to send programmatic Same-Day ACH payouts to clinician’s bank accounts. This allowed them to automate premium payouts to its doctors at a speed that put them far ahead of traditional brokers. Using a single developer, Nomad Health was able to integrate Same-Day ACH payouts through Dwolla’s API in four hours. And working with Dwolla’s in-house risk and compliance team allowed Nomad Health to increase its transaction limits and make receiving high dollar ACH payments simple.